Yesterday, I made the decision to kill Govern America. This was a show that I have been doing since the early 2000s, about 15 years of my life. The reasons are myriad, but we had been having a lot of technical problems lately, and the Saturday, June 9th, 2018 broadcast provided the apex I needed to push me over the edge. Half way through the broadcast, I interrupted my co-host, Vicky Davis, to go to the break. When I came back from the break, my call screen indicated that she was still on the line, but I didn’t hear her respond to any of my prompts. After spending a moment, trying to get her attention, I moved on with the show. That’s what you have to do with live broadcasts. As I worked to keep the content flowing, I was also contemplating what could be wrong, and what I could do about it. At some point, I attempted to bypass the phone bridge and go direct to her but she didn’t answer. I found out later that she was angry at me, due to a misunderstanding. It turned out that she apparently thought I hadn’t noticed she had been disconnected. Of course, I noticed! She is an integral part of the show. The whole situation could have been avoided had we been able to discuss it without emotion. And the technical troubles could have been worked out over time. But the incident gave me the opportunity I needed to step back from what has long been an enormous burden on my life, my time, my finances, and my family. The family has long understood not to plan anything on Fridays, because that was show prep day. Literally, from the time I got up on Friday, until about 4:00 or 5:00 AM on Saturday morning, I would be clipping audio, studying documents, reading through news stories, taking notes on Vicky’s research, writing and recording the three news updates for the bottom of each hour, and anything else show related. Then, I would go to bed for a few hours and get some sleep, and get up again at about 10:15AM, pour a cup of coffee, and power up all of the studio equipment. And that has been typical for every week. It’s just how I’ve lived my life, and I have done it that way for years. After the show, I save the Audacity project file onto a flash thumb drive, grab my laptop, and go right out the door to work. Later on in the evening, as time allows, I put together the files in two formats, the show notes, the show description, the art work, the title of the show, and upload all the audio files to six different locations. That part of the process usually takes anywhere from two to four additional hours, depending upon what I have to do. And time is not the only sacrifice I’ve made. When Nancy Levant, my first co-host, and I left RBN and struck out on our own, my original intention was to just continue Govern America as a podcast. It was only because we had a number of people who wanted to hear the show live, that I added a stream of our own. Then, we added a toll free number for people to call in. Then, we had stations that wanted to carry it live, so we added the KU-band satellite feed. Before I knew it, it was costing over $200 a month, every month. Some people donated every now and then, and I always appreciated it, but only a couple of people ever gave on a monthly basis. The overwhelming majority of the burden fell upon me. Understand, I’m not complaining about it; I’m just stating the facts. So, despite the fact that I will greatly miss certain aspects of doing the broadcast, such as interacting with all of the people, the ability to let it go lifts a huge burden for me. A few years ago, I had asked God to let me know when it was time to quit the show, because I didn’t want to keep doing something if I could be more effective in some other area. I asked Him to make it very clear and obvious to me — even to the point of making it where I couldn’t continue the show, if necessary. With all of the recent problems with Internet drops at my home studio, the fact that I even tried to broadcast live from my van through the cell phone network, and that didn’t work either, I was already starting to suspect that the time was drawing near to wind things down. I also learned that two of our radio affiliates were going off the air due to their own technical problems, expenses, and other issues. We learned that the owner of another broadcast network which simulcast our show is in failing health and she plans to discontinue her operations. So, there were several things which seemed to be leading up to the incidents of yesterday, which then just capped it all off. I plan to keep the GA website up for the forseeable future. 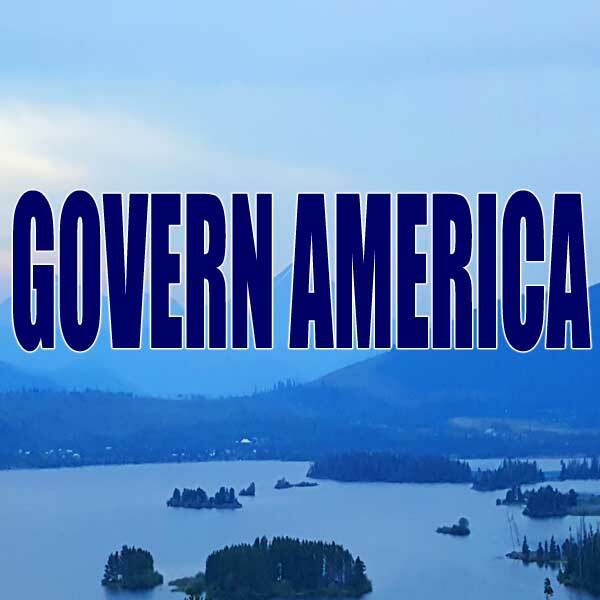 Govern America Radio, which is the name of the live streams, will stay up for about a month, maybe a little longer, to give stations time to drop the time slot and schedule something else. Then, they will be discontinued. The only reason they existed, was to carry the live radio broadcast. By getting rid of them, I don’t have to pay for the cloud automation, Nexuscast, and RCast. The toll free number will also be dropped, as will the phone bridge. Since the website will remain, so will the archives of past shows and the infrastructure that services the podcast version of the show. Hence, if we ever wanted to start the show back up as a podcast, that would certainly be possible and easy to do. While I have no plans to do that for the forseeable future, it would be easy to do. So that is a possibility. The other thing is that I’m not going away. I have every intention of pursuing other projects. I like to write and have been neglecting it for a very long period of time, due to the enormous investment I have made in Govern America. I will probably be sending more articles to Paul Walter at NewsWithViews as topics present themselves. Much of what we have talked about on Govern America, has not made it outside of Govern America, to my knowledge. Maybe I’m a little biased, but I believe the information we were presenting was some of the most important material available, and isn’t being talked about widely, if at all, elsewhere. Most hosts skim the surface, covering news events, from day to day. I understand deadlines as a show host. Every day, you’re presented with a punch in the face of new events that you have to have enough knowledge about to sound somewhat intelligent on the subject. Deep research takes time. Documentation takes time. I am looking forward to bringing our message to other avenues now that I will have the time. People in the movement know me through radio, but I am also a TV broadcaster by trade. Yet, I have never really exploited my knowledge of the visual venue and applied it to the many options that we have today to reach people. When we started the radio show, in the early 2000s, the Internet was still relatively new. We were excited to just be able to stream audio. There was no YouTube, let alone the many other alternatives that we have today. Today, we have a lot more options for getting information out than we did back then. I am looking forward to being able to experiment more with presenting information to people who haven’t been exposed to it. In sum, even though it is the end of one era, I look at it as the beginning of a whole new world of possibilities. I am looking forward to the future. I have listened to your program since your beginning and sad to hear of your leaving. Maybe you should be a guest on other radio programs. I pray you will do well in your new ventures and be well . One day when I visit my home state of MI, I would like to meet you. I was born and raised in Paw Paw not that far away from you. My brother lived and worked in Jackson for a short time and so know the area. I went to boarding school in Adrian. I worked all over the state of MI as a civil servant and a two-time whistle blower. Finally, with union in bed with management, black- balled me into taking early retirement. I’ve been a Yooper and now am a Minnisotan, but prefer Michigan’s upper peninsula, if it weren’t for all the prisons. My first job with the state of MI was in a prison “Muskegon Correctional Facility”. Best wishes and thanks for all you’ve done. I will be looking for your articles. The only other radio program other than yours that I subscribed to was “Fairdinkum” from Australia. His name is Leon Pittard and a truck driver and farmer. He had to quit last year due to prostate cancer and was planning on finding other work that wasn’t so bad on his health. He keeps in touch with his subscribers via e-mailing his occasional broadcasts. Many radio programs use subscribing only. Have you considered doing that? Hi Karen, It would be neat to have a cup of coffee with you sometime. The trouble with a subscription model is that you end up shutting out the very people you’re really trying to reach. I never went into this to make money, but to wake up our country. Subscription models put your message behind a pay wall, where no one can hear it, but the choir. Even then, it is the most dedicated choir. And as I stated above, the cost of carrying the show was only one of many factors in my discontinuing it. The biggest factor is time. I would have liked to have seen more growth and impact for the effort. As far as being on other radio programs, I’m certainly open to that. Wow! You have been with me the whole time? All I can say is God bless you! 🙂 I am not really going anywhere. I am not quitting the movement, just GA. Going to miss you Sir! Hope to see you again soon. Been listening since the RBN days. No really that many good shows left. When it’s time to move on it’s time to move on. I’m sure God’s got something for you. See you soon! Im going to miss John in TN, and all our other GA callers. They’ve been family to me , Vicki, Darren , Nancy thanks for your service ! Darren, I am saddened that the show will not continue! Like you, I only have so much time so I understand. I’ve listened every day for at least 6 months and appreciated the appreciated the stream on the off hours as well.Yours and Vicky’s insights aligned with what I’ve instinctively perceived and having a source as a follow up helped me try to enlighten the folks who want to remain in “bliss” Now I won’t have that resource anymore and I need it! I can help from the tech end (internet-wise), but I see the issue is larger than that. I’ve been listening to you guys for a minimum of 10 years and will miss your show big time! Yeah, this is a doorway not a barrier and you’ll surely do something positive with the opportunity. Sorry to hear this, Darren. You may recognize me as Daniel from FEMA Region IX. I loved listening to the show. Even though I disagreed with Vicki on some basic points, I did appreciate her input to the show. I could hear your frustration for several shows ’til the end. It did almost seem like “someone” was sabotaging the technicals. But, we wouldn’t know, would we? Sorry you dropped it, but I certainly understand. I know you’ll bounce back in some way. If you do a podcast, you can produce shows sporadically, which will be easier on you and your family. If you do, I hope you’ll let Sam & Trish Britton know, so they can broadcast it & I’ll be sure to hear it! Darren I loved your show and it is sad for it to come to this. I would like to see you back on RBN if possible. Look for the open door. Sorry for your struggles. There are many sovereign works of God taking place in my life right now and blessing I thought would never happen. Maybe yours too. I heard a prophecy by Joe Joe Davis and he said God is going to let us see into our future and bring clarity to things in our lives. Love you brother.